Living in a small apartment, I don't have a very big vanity space and use a lot of it for random items instead of nice, decorative pieces. In my future home, I'd love to have a beautiful vanity that can be functional and stylish. 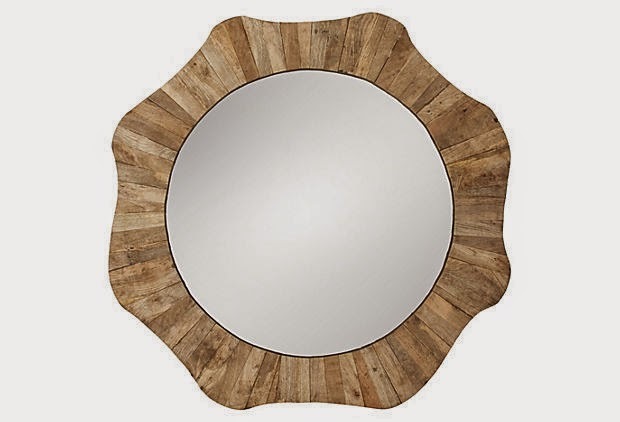 One Kings Lane let me know about their selection of mirrors, which can be used as the centerpiece to a new vanity space. I picked out some accompanying items -- a lamp, tray, picture frame, jewelry box and candles -- that I'd love to use for a future space. One Kings Lane also has some great suggestions on how to use mirrors in your interior design. How would you use a mirror to spruce up a space? Look at that awesome box!!! I love it!! Super cute! Loving those candle holders!